For the entire first year of Matheo’s ministry, only the children came to church. 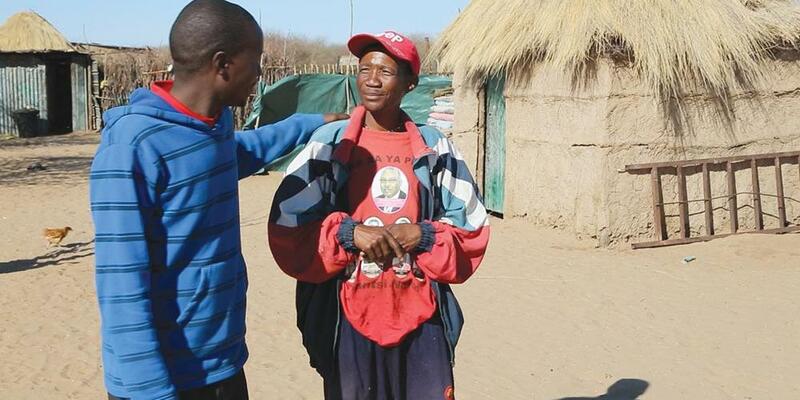 He felt discouraged, but he continued to visit the villagers and minister to their needs. Matheo had just started working as a Global Mission pioneer in Grootlaagte, a small settlement in Botswana. Only a few years before, a congregation had worshipped in the church each Sabbath. But when the pioneer who started the church passed away, the members stopped coming. When Matheo moved to Grootlaagte, he went from home to home, visiting and helping his neighbors. He was delighted to see so many children in the village, but when he tried to be friendly, they ran away and hid. “These kids made me work hard to win their trust!” Matheo says with a chuckle. “But soon we were playing games together, and I was teaching them songs about Jesus.” Matheo invited the children to Sabbath School, and they came. But not a single adult came with them. The congregation began to grow, and people wanted to be baptized. But there was no baptistery at the church. Neither the members nor Matheo knew how to build one, but they prayed for guidance and went to work. Soon they baptized seven members in their new baptisry, including several Pathfinders. Since Matheo came to Grootlaagte, many of the former members have returned to church, new members have been baptized, and others are preparing for baptism. The congregation has become excited about sharing God’s love with their community. Your support of Global Mission has helped reopen the doors of Grootlaagte’s little church.